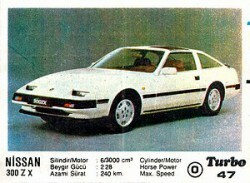 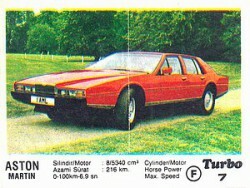 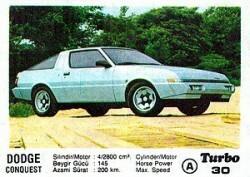 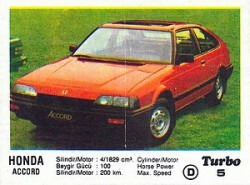 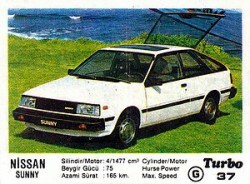 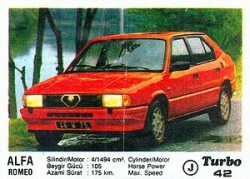 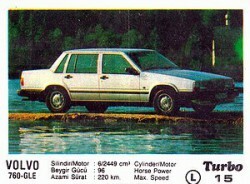 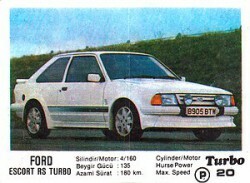 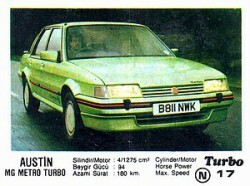 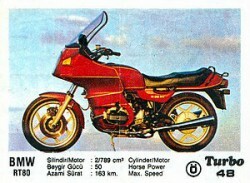 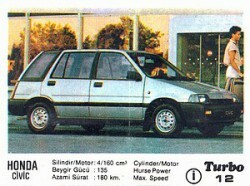 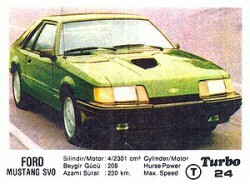 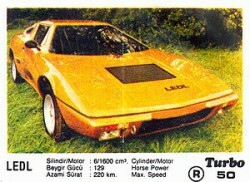 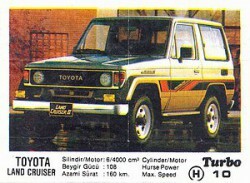 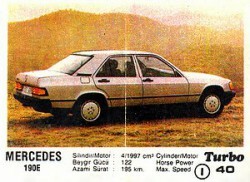 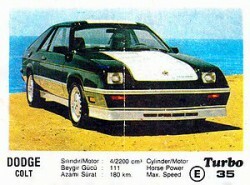 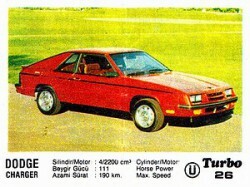 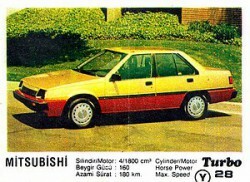 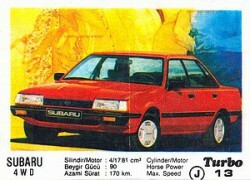 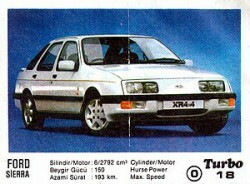 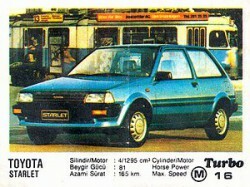 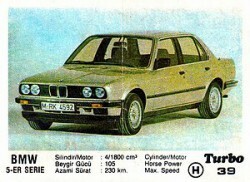 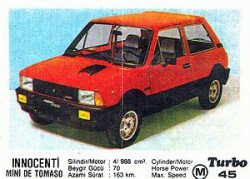 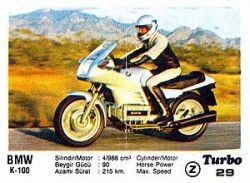 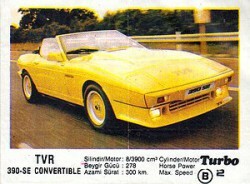 Turbo 1-50, T1 or 1st series produced from Sept’1986 till June‘1987. 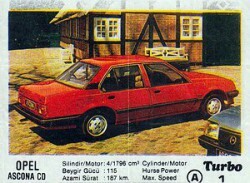 Countries where was sold are unknown, by collectioners exchanges we know that it was East Europe, also exists ads posters in polish language and big part of wrappers was found in Bulgaria, and in smaller count in Romania, Hungary, Lithuania, Lietuva, Slovakien, Russia, Turkey. 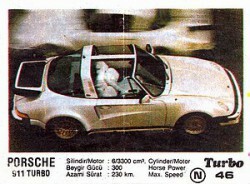 All text is written in black colors near sign Turbo and numbers - letter in a circle, by turkish alphabet (O,U with double points upper). 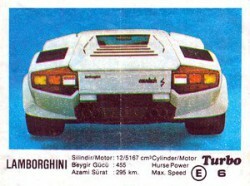 Number is under sign Turbo, and in total 50 numbers (all the next series have 70 numbers). 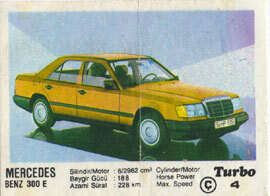 Characteristics of autos only in this series are in 2 languages. 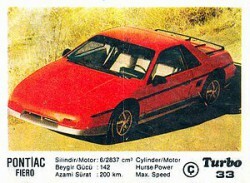 All cars are real, no prototypes, bigger part of cars on real background and without photo refinement. 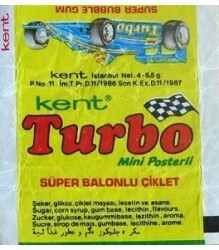 Size of wrappers is bigger than on next series - width 85-87 mm, height 62-65 mm (starting from 2nd series and until 2003 - width 83-85 mm, heigth 60-62 mm). 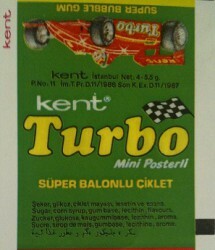 Wrappers from 1-10 and 31-40 appears much less often the other numbers, and prices is bigger in 2-3 times. 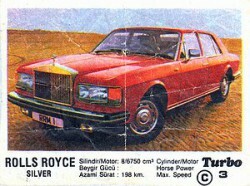 This 1st series is the most expensive in wrappers collectioning, some wrappers was buyed on $250-300. 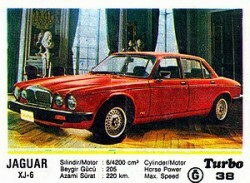 In 2007 there was one of the great deals on this sersies - collectioner from Vladivostok spent 3600 euro for 24 wrappers. 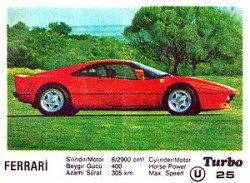 Number 1 have printing error - image is bigger than area for it and this image part is in black-white color. 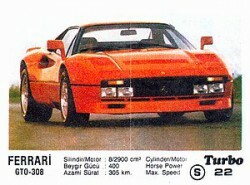 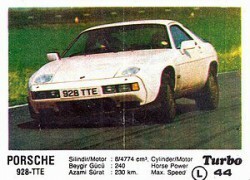 Number 7 have characteristics error - horse power is indicated as 216 kmh. 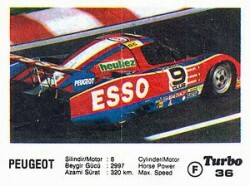 Number 8 image is mirrored. 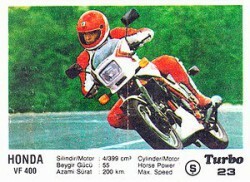 First who complete this series was a man Cristi Tauni from Romania - video with this collection was uploaded approx on completion of 1st series. 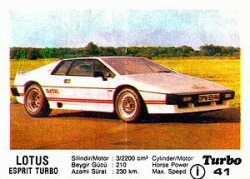 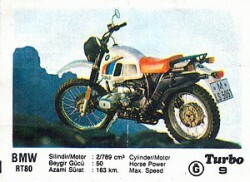 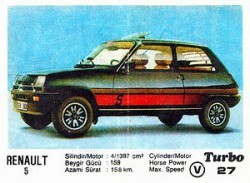 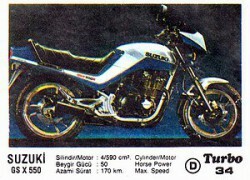 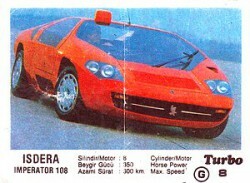 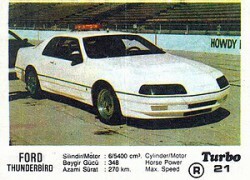 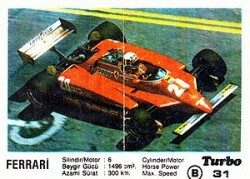 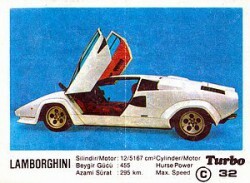 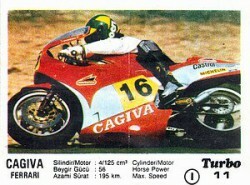 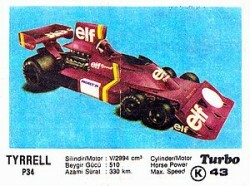 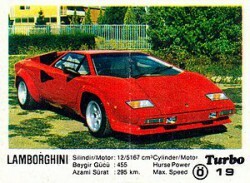 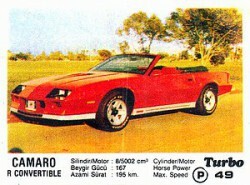 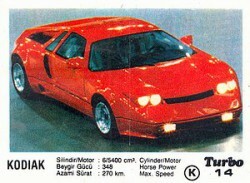 At the moment are known about approx 10 full collections of 1st Turbo series. 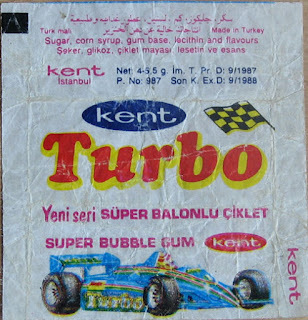 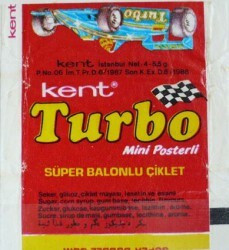 On one of the advertisments is written than to obtain special gift, need to write a word "Turbo" by wrappers with this letters.